Running along the southern periphery of Buenos Aires, the languid Riachuelo River carries a fetid mix of heavy metals, chemicals, and organic waste through fourteen municipalities within the Argentinian capital. It flows past the Oscar y Juan Gálvez Autodrome and the Olympic Youth Sports Complex until it merges with the La Plata River alongside the iconic Caminito in the popular tourist destination of La Boca. Widely considered one of Latin America’s most heavily polluted waterways, much has already been written about its seemingly intractable degraded state. About the $5.2 billion that have been spent to clean it. About the roughly 200 years of pollution it has faced. About the 90,000 tons of heavy metals and other harmful substances dumped into its waters every year. 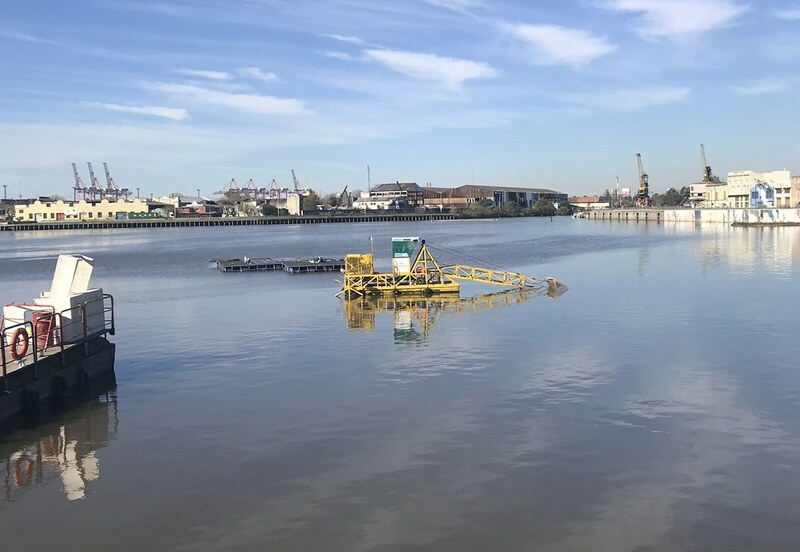 The Argentinian government has undertaken an ambitious clean-up project for the Riachuelo River, also known as the Matanza River, but it is widely considered one of Latin America's most polluted waterways. Photo by Forest Ray. The residents and social workers who call the banks of the Riachuelo home acknowledge the environmental crisis. But they also speak of another side to the tragedy. 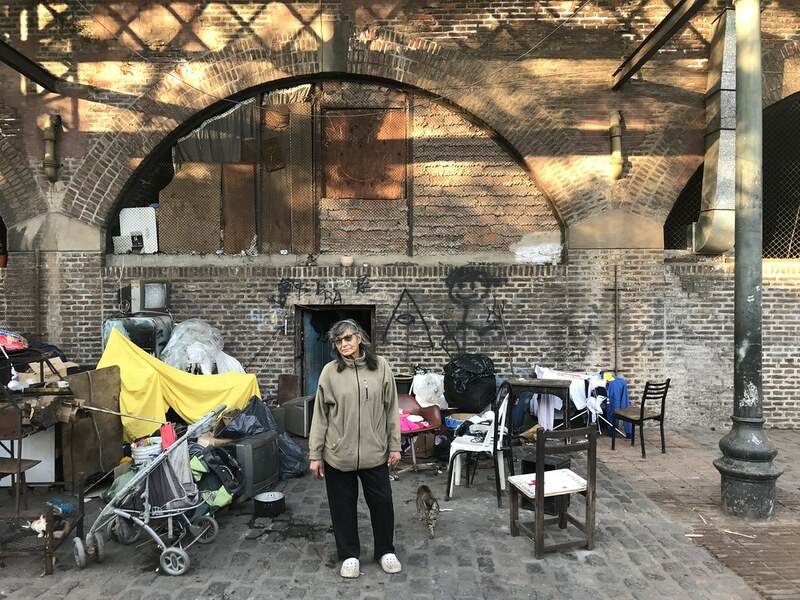 “In all of this focus on cleaning the river, we are forgotten,” says Andrea Cecelia Fernandez, a social worker at the German Abdala community center, in Villa 21, one of the poorest localities in Buenos Aires. The contamination from heavy metals, chemicals, and organic run-off from meat packing plants is so severe in the river that, in 2008, Argentina’s Supreme Court declared the water body an imminent threat to the lives of those living nearest to the water and ordered the complete rehabilitation of the entire Matanza-Riachuelo Basin. To this end, local, regional, and national government bodies came together to create a legislative body called the Matanza-Riachuelo Basin Authority (ACUMAR, for its name in Spanish) charged the environmental and social rehabilitation of the river basin. Part of the rehabilitation effort includes the creation of housing projects for those living along the river’s shores, as well as improving their access to potable water, sewage services, and health care. The Riachuelo’s polluted state has been implicated in a range of health issues, from severe skin rashes, vomiting, diarrhea, and headaches, to heavy metal poisoning and high cancer rates. The government’s response to health concerns, however, has again made locals feel passed over. Although the employees of German Abdala report that more emergency care facilities (akin to urgent care clinic in the US, but more oriented towards basic first aid) have been created throughout Barracas, they say that first aid is really not a priority for residents. More common needs, says Ms. Fernandez, concern chronic conditions, often related to environmental factors as well as the physical and psychological effects of poverty itself. Compounding these concerns are the issues of growing population pressure and a rapidly retracting economy. “Every year there are more poor people living here,” says Ms. Fernandez. “Of what use is first aid? Easily the greatest concern that the residents of Villa 21 express regarding the Riachuelo’s rehabilitation is what a cleaner river would mean for their ability to stay in their homes. In a word: gentrification. Early signs of gentrification are already present in these historically lower-income neighborhoods. Along the periphery of Barracas, just blocks from Villa 21, there’s a new mall. It features a Lacoste outlet store and a Nike Factory store. The façade is modern and the prices inside are high given what local residents earn. If the river is cleaned and housing prices rise, the residents of the Riachuelo Basin will likely be pushed even farther from the city’s center and from job opportunities. “What good is solving an environmental catastrophe, if it only aggravates a social one,” asks Viviana Vega López, a founding member of Germán Abdala, which is pushing for creation of more affordable housing. This falls within ACUMAR’s purview. One of the body’s designated tasks is to provide housing alternatives for local residents so that they can live beyond the reach of the river’s contamination. Only an estimated 14 percent of the families eligible for relocation, however, had been given new homes as of 2017, the last year, for which such data exists. Residents say communication regarding housing plans has also lacking. “I didn’t even know that was an option,” says Juana Gómez, 70, a lifelong resident of Villa 21, who lives in a building underneath train tracks just blocks from the new mall. Juana Gomez is a lifelong resident of Villa 21, through with the Riachuelo passes. Photo by Forest Ray. Ms. Gómez lives with eight family members, representing four generations. She makes her living by reselling recyclable garbage. The only interaction that she has with the government comes from the police, who regularly raid the building, sometimes under the pretense of looking for drugs or other contraband and sometimes just to exercise control over the neighborhood. Although her business is legal, the police often take away her recyclables and smash the carts that she uses to collect them. She would probably take the offer of better housing, she says, if one were made. A media spokesperson for ACUMAR, redirects the responsibility for the housing project to a wider number of government agencies and states that ACUMAR holds “mesas de diálogo,” or open table public meetings, with residents to discuss housing projects and relocation efforts. Although these events are posted online, no one interviewed in Villa 21 knew of them. One problem is that few residents have Internet access and internet literacy remains patchy in poor communities. The cleanup of the entire Riachuelo-Matanza Basin and the rehabilitation of the communities living along its banks is a monumental task, to be sure. That said, ACUMAR could make its job easier. A more constructive and reliable government presence in neighborhoods like Villa 21 would likely facilitate communication between ACUMAR and the community residents. The more that people like Juana Gómez know about the plans to rehabilitate the area, such as by providing affordable housing, the more that community members themselves can maintain pressure on ACUMAR to deliver on its promises. Unfortunately, the single biggest obstacle to this region’s rehabilitation might be corruption. ACUMAR and its various officials have been accused of corruption on an almost constant basis since the organization’s inception, with cases ranging from conflicts of interest and misappropriation of public funds, to irregularities in the acquisition and public reporting of environmental data and in one case, of an environmental legal adviser within ACUMAR using her position to benefit private clients. Although few cases have resulted in indictments, the organization suffers from an almost complete lack of positive PR. The corruption charges have also led to a high degree of institutional instability. 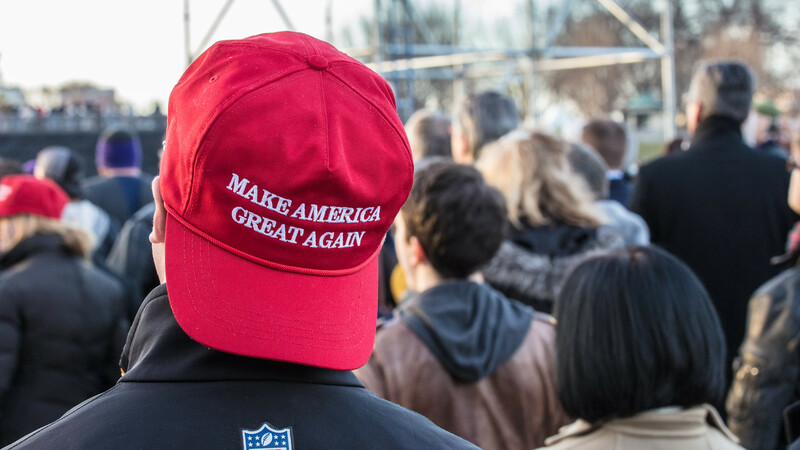 In only the past five years, for example, the organization has gone through seven presidents, the past six of whom have resigned under suspicion of corruption and the loss of public confidence. Nor has ACUMAR done much to assuage its negative image. In April of 2017, for instance, the body was taken to court for allowing the discharge of contaminants by volume of total effluent, rather as measured by total mass load (the raw amount of each contaminant) or by component toxin effect. This discrepancy allows toxins to accumulate in the Riachuelo, which is a point of discharge for many factories and municipal sewage lines, while appearing to provide stricter limits on the amounts of toxins found throughout Buenos Aires’ sewage system as a whole. At the time of writing this article in January of 2019, the court has yet to pass a judgment on the case. Environmental stewardship and the alleviation of poverty are of critical importance in a world struggling with pollution, climate change, and growing wealth disparities. As the case of the Riachuelo River illustrates, the two are often deeply intertwined. And as the Riachuelo rehabilitation effort suggests, it’s often best to coordinate environmental and social policy efforts in tackling such herculean challenges. Forest Ray is a freelance journalist, whose articles have appeared in the Earth Island Journal, Baku and Hakai Magazine, among others. He is based broadly in South America, where he investigates the intersections between ecological issues and everyday life. He can be found online at www.forestrayreports.com and on Twitter as @ForestRay8.